Bellagio Hair & Skin Care was established in September 2004, spearheaded by a talented and driven young woman with a truly entrepreneurial spirit. The salon was chosen as the 2007, 2008 and 2009 Reader’s Choice winners for Brighton. In September 2014, a decade of service and beauty was marked, and the team is looking and working towards the next 10+ years! Once close to the heart of Brighton, the salon was moved to its new location in Watertown, in November 2016. It is now located in a residential area, right next door to the Watertown Diner, diagonally across the street from the eastern corner of the Perkins School for the Blind, near the intersection of N Beacon Street and Beechwood Avenue. It is accessible by automobile (plenty of on street parking), bus (70, or 70A, to the Beechwood Avenue stop; walk down Beechwood Avenue to N Beacon Street, take left and it will be located just beyond the Watertown Diner, on the left), and by foot. The salon offers a full range of hair care services: Hair cutting, styling, coloring and highlights, along with a multitude of hair treatments. Born and raised in Thailand, Pat has a natural talent and flair for beauty, not only in herself, but especially for bringing it out of others. Her mother owned and ran a salon, in their native country, which exposed Pat to hair, makeup and skin care starting at a very young age. Naturally, she would step foot into and work in the field of beauty, but started her career as a makeup artist. 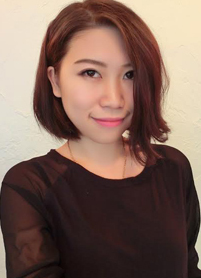 She works all aspects of the salon: from hair coloring and cutting, to waxing and facials, along with make-up application and general skincare. Pat is certified in the Balayage technique and was trained using Transformation techniques from L’Oreal Professionnel’s Soho Academy, NYC, as well as the use and application of skin care products from Pevonia and trained in the use of L’Oreal Professionnel’s INOA, Majirel, DIA and Luocolor hair color collections, along with MATRIX’s Color Sync line. She was the lead hair and make-up artist for Boston Platinum during Boston’s Fashion Week in 2011. In keeping with the many constantly evolving trends and styles in the world, Pat continues to educate herself through classes, reading magazines, speaking and networking with other industry professionals and utilizing social media. In April 2016, Pat attended the Salon Centric LIVE (Learn, Innovate, Visualize, Energize) Show, that was held at Connecticut’s Mohegan Sun. 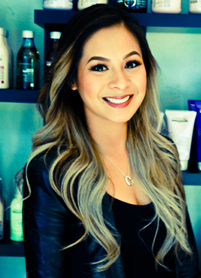 While being exposed to many new and different coloring, styling and beauty products and tools, she made sure to be a part of the sold-out ‘Balayage technique’ class, taught by the industry’s infamous Guy Tang. 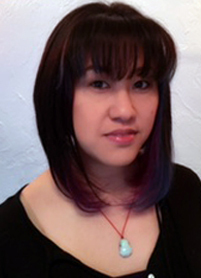 Ping Ping has been at Bellagio Hair & Skin Care for over 6 years. Certified in Balayage techniques, from L’Oreal Professionnel’s SoHo Academy, NYC, as well as Pevonia certified for skin care, Ping Ping also specializes in cutting edge color techniques, foil highlights and lowlights, color correction, updos, waxing and facials, along with men’s and children’s cuts. 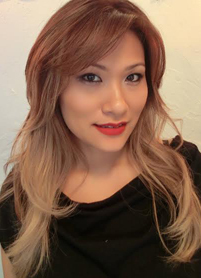 She has been trained in the use of a wide range of professional coloring products, including the revolutionary, non-ammonia color system, INOA. In 2011, Ping Ping working alongside the lead hair and make-up artist for Boston Platinum’s Runway Show for Boston’s Fashion Week. Ever interested in the latest and greatest in fashion and beauty, she stays updated on all the latest trends so that she can give you the look you want. Born and raised in the Allston-Brighton area, she graduated from Johnson & Wales University in Providence, RI, with an AAS in Culinary Arts and a BS in Foodservice Management. After about a decade of living just north of Atlanta, GA, she returned to Boston, in 2006. 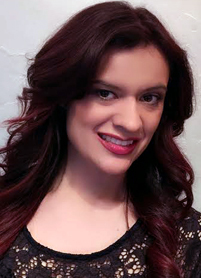 In search of a new hairstylist, she came across Bellagio Hair & Skin Care. Upon meeting Pat, Rosie immediately knew that she would be THE stylist to care for her hair…. In late 2013, after many years as a loyal client, she began working at the salon, on a part time basis, which led to her pursuit of and graduation with a certification and state licensure in Cosmetology. To date, Rosie has attended classes in basic balayage technique, as well as L’Oreal color collections enrichment, and most recently the Salon Centric LIVE (Learn, Innovate, Visualize, Energize) Show, where she attended a more advanced class for balayage techniques, taught by one of the industry’s most infamous color innovators, Guy Tang. While attending college, she worked in restaurant kitchens and dining rooms, which began the development of interpersonal and customer service skills, that were furthered while bartending and serving at a private country club in Georgia. 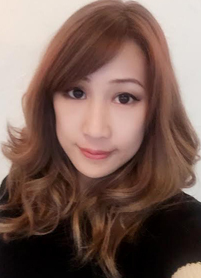 Rosie enjoys talking to the clients and being a part of their overall experience at Bellagio, but especially seeing their smiling faces as they leave the salon, feeling as if they can take on the world. Adopted at age 2, I was raised and am still living in the Brighton area. In 2000, I graduated with a BFA in Art Education from Massachusetts College of Art, then earned my Cosmetology certificate in 2001. I have been cutting and styling hair in Boston for over a decade. I have worked on both film and photo shoots, including the documentary film, “You Look A Lot Like Me.” I have been working at Bellagio Hair & Skin Care for about 5 years, now, and have specialized in men’s haircuts. However, within the past couple of years, I have been able to cut and color more female clients, therefore further adding to my client list. One of the most gratifying aspects of working at the salon is meeting new people, getting to know the clients and seeing them return time and time again. I enjoy hanging out with my family, volunteering and being a professional belly dancer, but absolutely love ice-skating and painting. Hazel has been licensed for more than two years in two different countries. In that time she has mastered a wide range of skills including: cutting techniques and up-dos. However her specialty and passion is color. Hazel uses a wide range of L'Oreal color products, including the new revolutionary hair color system, INOA. Hazel places high value on listening to her clients and understanding their needs ...and she also strives for unlimited creativity! In her spare time, she enjoys making hair accessories, crafts, and creating one-of-a-kind fashions. I started out my career studying esthetics and makeup artistry at Elizabeth Grady in 2009 continuing on to do freelance makeup work which is how I met Pat. I worked alongside her at Boston Fashion Week in 2011 and later became the esthetician at her salon doing facials, waxing and makeup. Wanting to further my career in makeup, I took the chance to work at Bobbi Brown and later MAC Cosmetics to advance my technique and product knowledge. I am now the resident makeup artist at Bellagio Hair and Skincare specializing in wedding makeup.